Would you like to translate WPForms into a different language? There are many translation tools available for WordPress, and it can be challenging to find the best approach. WPForms has several built-in translations available, including Spanish, Italian, Japanese, French, German, and Russian. If you’d like to translate your forms into a language not on this list, we’ll discuss our recommended strategies in this tutorial. Note: This tutorial will discuss translating WPForms into a single language. WPML is a popular option if multiple languages are needed, or check out WPBeginner’s article on WordPress languages for more details. Before we get started, be sure to take a minute to create your first form. 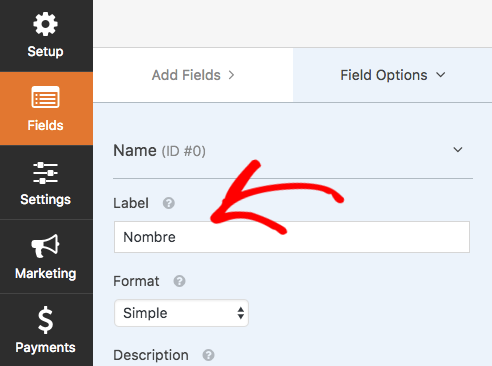 Changing the default names of fields is super easy, and provides a simple option to add any language you’d like. By default, field labels will be in English. To change the label for any field, you’ll just need to click that field in the preview pane to display its Field Options panel. There, you can replace the default label to fit your site’s language. Validation messages are displayed when a required field is empty or when certain types of fields contain incorrect formatting. For example, when a required field is skipped and the user tries to submit the form, they’ll see a validation message that reads “This field is required”. This and other validation messages can be customized and translated by going to WPForms » Settings and opening the Validation tab. For more details, please check out our tutorial on customizing validation messages. It may be useful to also translate the WPForms form builder and other WPForms pages you can see from the WordPress admin area. Translations for the admin areas of WPForms can be approached in many ways, but Loco Translate and Poedit are both popular options. For this tutorial, we’ll focus on Loco Translate. To get started, be sure the language is set for your WordPress site. To do this, you’ll need to go to Settings » General and select a Site Language. When saved, WordPress will install the language pack needed for this translation. Note: WPForms includes built-in translations for Spanish, Italian, Japanese, French, German, and Russian. So if you choose one of those languages from this Site Language dropdown, WPForms will automatically be translated for you. 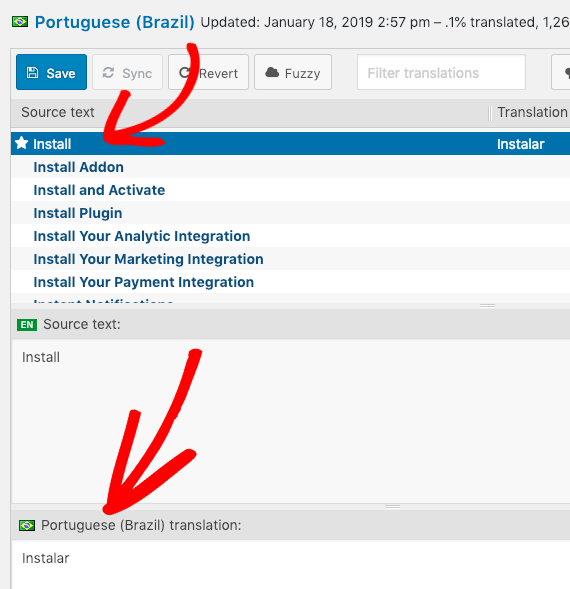 As a free plugin, Loco Translate can be installed and activated right from the WordPress Plugins page. 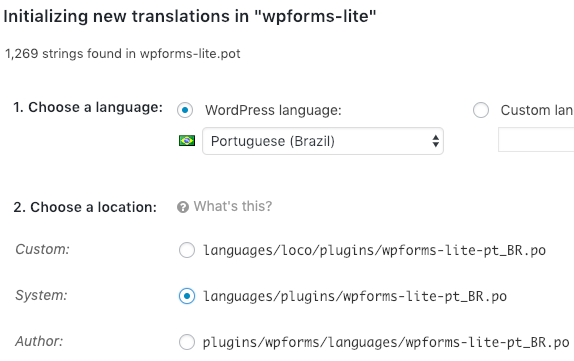 Now that you’ve installed and activated Loco Translate, you’ll need to go to Loco Translate » Plugins, then find WPForms in the list. You can either look through the alphabetical list or use their Search box to narrow your options. Note: You may notice “wpforms-lite” in some places even if you’re using our paid version. This is correct, and will translate your plugin properly. Next, you should be taken to a page showing all of the existing translations for WPForms. To build out a new translation, click on New Language. To start adding a new language, you’ll first need to select which language you’d like. Then, you’ll need to select a location to save the translation file. 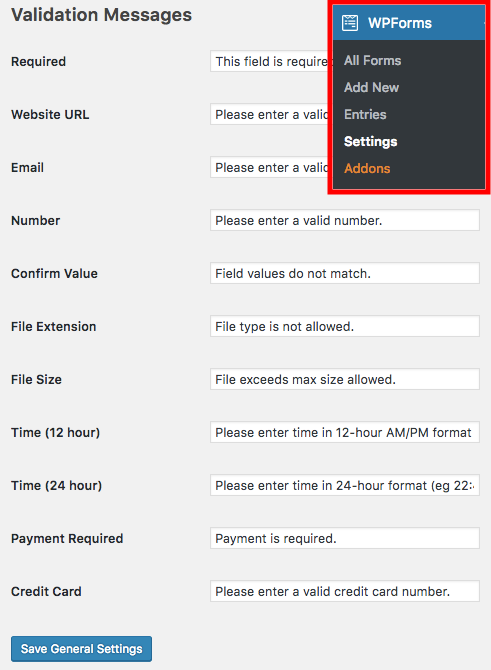 Also, be sure to select the System location option, as this will protect your translations from updates to WPForms. Note: To protect customizations from updates, it’s important to never add files to the WPForms plugins folder (shown in the Author option). Instead, add translation files to the WordPress languages folder so those files won’t be altered by updates. When you’re ready, go ahead and click the Start Translating button. Next, you’ll be shown a list of all text in WPForms that’s ready to be translated. When a Source Text option is selected, you’ll have the opportunity to add a translation for the word or phrase. Be sure to click the Save button when you’re done. Any translations will immediately become visible in the site’s WPForms pages and form builder. That’s it! 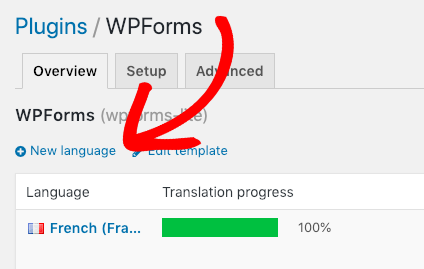 You can now translate WPForms into an alternate language on both the frontend of your site and in the WordPress admin area. Now that your form is set up, you may also want to check out our tutorial on how to set up automatic notification emails.